Tokyo, March 18, 2016 – Fuji Heavy Industries Ltd. (FHI), the manufacturer of Subaru automobiles, today announced that the Malaysian-built Subaru Forester will make its debut at the 37th Bangkok International Motor Show*, following the start of production in February. The show will be held from March 21 in Bangkok, Thailand. The locally-assembled Forester will go on sale in the 2nd quarter of 2016 in Malaysia, Thailand and Indonesia through the Subaru dealer network operated by Tan Chong International. 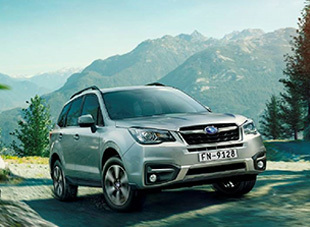 The Forester is Subaru’s globally-popular crossover SUV, developed with the goal to maximize its value as a true SUV. Featuring Subaru Symmetrical All-Wheel Drive, the Forester delivers superior driving performance and safety as well as environmental friendliness. Its optimal blend of fun-to-use SUV capabilities and a stress-free, fun driving character has made the Forester one of the Subaru brand’s best-selling models worldwide. In its mid-term management vision ‘Prominence 2020’ announced on May 9, 2014, FHI laid out initiatives to build a strong business structure. Introduction of the locally-built Forester is a key part of the company’s efforts to develop a strong business foundation in Southeast Asia. FHI will continue to enhance Subaru sales in the growing ASEAN market, offering customers in the region Subaru’s distinctive ‘Enjoyment and Peace of Mind’ driving experience.